Let our florist choose what to send your recipient this Mothers Day. 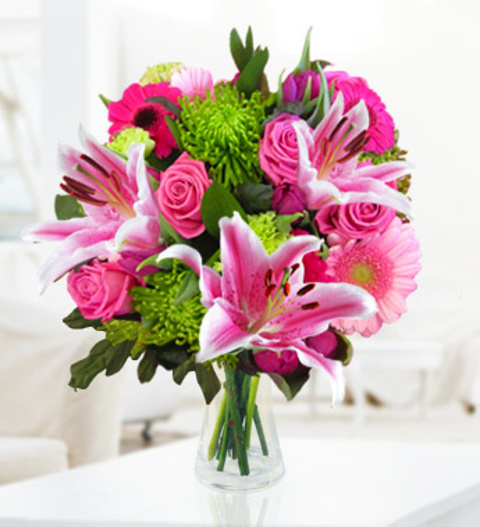 The Mothers Day florist choice bouquet is made up of the freshest flowers available by the florist. Please note the bouquet in the image is an example of the kind of wonderful bouquet that could be delivered. Your bouquet could consist of roses, gerberas, lilies, sunflowers and a whole host of other blooms and flowers. The florist choice is very popular for the busy individual who entrusts the florist to create a one off bouquet for the recipient.